The sun moves into Libra’s constellation Sept. 23 through Oct. 22 this year. Libras are the cardinal air sign of the zodiac. Cardinal signs refer to character traits such as: active initiators, harnessing original ideas while air signs exhibit intellect and independence. Ruled by the planet Venus, also known as Aphrodite the goddess of love and beauty, this astrological sign rules pleasure, art, social pursuits and adornments. 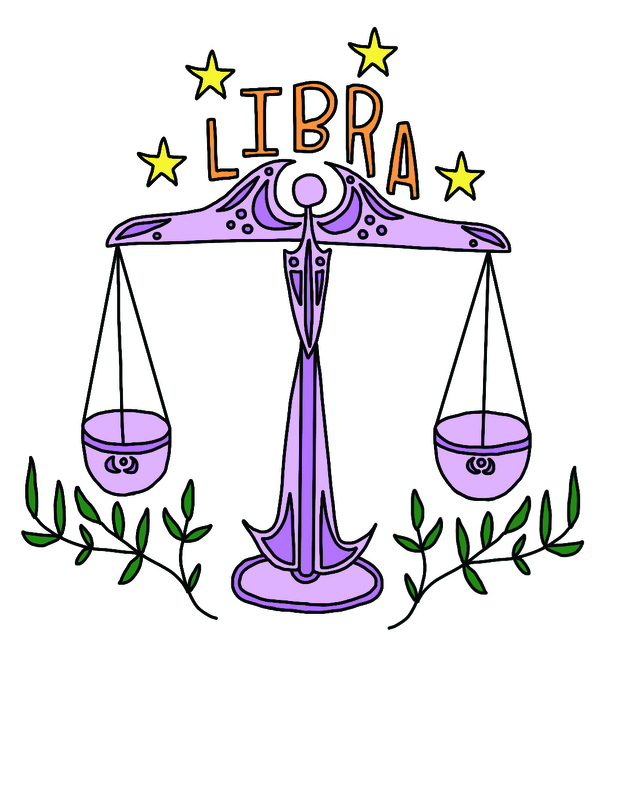 Their symbol, the scales, makes Libra the only sign represented by neither human nor animal. Symbolizing harmony, balance, justice and equilibrium, the scales have a more profound representation; the judgement scales for the dead where souls are weighed. According to Egyptian religion, the “scales of judgment” were affiliated with the Egyptian God Anubis, the conductor of souls. With the head of a jackal, Anubis guided the dead through the underworld, ensuring they were weighed fairly. The dead soul had to be in harmony with truth before passing into the afterlife. The scales are also associated with the embodiment of justice. She carries the scales while blindfolded, rendering each person his or her rightful dues. In Greek mythology, the goddess Themis, mother of Astraea, the goddess of innocence and purity, represents justice. Legend claims that when humanity finally reaches its “Golden Age,” Themis and her daughter Astraea neighboring constellations Libra and Virgo will return to Earth bringing justice and innocence. Libra season hosts a few astronomical events in 2018; this year, Libra season begins the day after the Autumn Equinox. This is when the sun crosses the celestial equator, marking the end of summer and the beginning of autumn. This is also referred to as the second harvest, or “Mabon” in Pagan mythology. This is the time to give thanks for the summer and pay tribute to the darkness to come, since sunlight will spend less time with us once the sun crosses the equator. The full Harvest Moon occurs on Sept. 24. The Harvest Moon is always the full moon closest to the Autumn Equinox and gets its name from how it rises after sunset. The moon moves from Pisces to Aries just a few hours before it becomes full. This moon transition from the 12th to the first house is a transformation between a state of rest and creativity to spontaneity and drive. This year it lands in Libra season highlighting everyone’s desire for harmony and balance. The Autumn Equinox full moon only takes 30 minutes to rise after sunset versus an average of 50 minutes for all other full moons. This illuminates the sky for a longer period of time, granting farmers more opportunity to harvest their crops. The moon continues to rise early for several days, giving the illusion of multiple full moons. Venus, Libra’s ruling planet, goes into retrograde from Oct. 5 to Nov. 16. When a planet goes into retrograde, it’s not actually orbiting in reverse despite appearing to be from Earth’s view because of its positioning in relation to the Earth and sun. Venus already spins in retrograde, moving clockwise instead of counter-clockwise like the other planets, excluding Uranus. When Venus is in retrograde, it appears to not only be spinning, but orbiting in reverse as well. This will reverse the aspects that Libra brings to the world. It is recommended to be careful with decisions regarding aesthetics, especially your appearance and major decisions in relationships. Luckily, Venus’ retrograde is the shortest retrograde, appearing once every 18 months and lasting for about 40 days. On Oct. 8, the moon enters Libra right before it transitions to its new moon phase on Oct. 9. With both the sun and the moon in the same constellation, Libra’s influence of harmony and tranquility is enhanced. The new moon brings the energy of new beginnings making this the time to set intentions and goals. Many astrologists recommend writing down your intentions during the new moon. This will manifest them until the next new moon when you can set new intentions. Libra’s season should be one to bring about many positive social changes. Mercury, the planet of communication, is also currently in Libra which when combined with Libra’s influence, will aid a more cooperative way of thinking. This is the time to reassess and rediscover values under the influence of this balancing and harmonious sign.